The soft new sugar-snap peas leaves are so beautiful in the morning light. I love the way they stretch out with their delicate tendrils. When they find a suitable grip they wind around and grip with a strength far greater than you might first suppose. We’ve harvested some of the first of the crop, plucking the pods off the vines before the sun dried off the dew. A quick rinse and then sensuous ritual of cracking open the swollen pods and rolling the fat peas bouncing into a bowl. 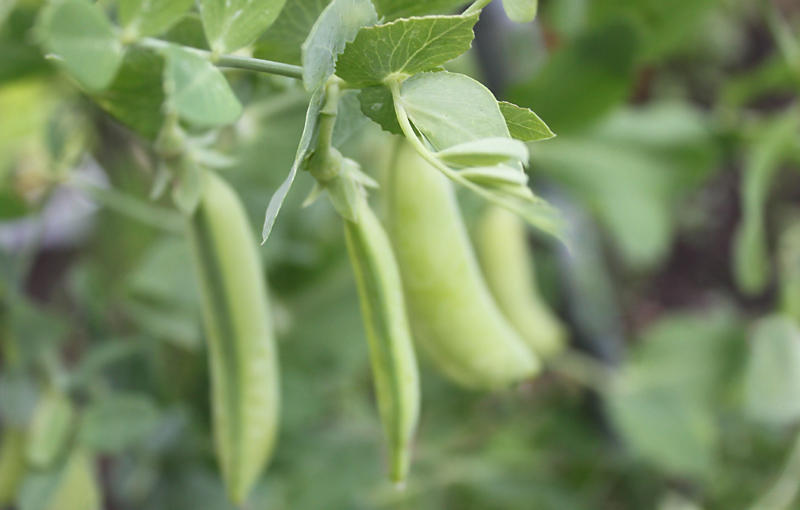 There’s a complete set of sounds associated with peas – the squeak of the pods, the plock of the pods as they snap open, the pluck of the peas parting from the pod, and the boing-bounce of the peas in the bowl. So far we haven’t cooked the peas – we can’t bring ourselves to spoil their crisp purity. This year we enjoyed their divine freshness in green salad – beautiful, beautiful, beautiful. We could buy frozen peas for cooking with if we really needed to. Or wanted to. Or could think of a reason why. 49. Every day is a good day. 02 Jan This entry was written by Lynsey, posted on January 2, 2011 at 11:55 pm, filed under creativity, everyday skills, food, gardening, gratitude and tagged art, cooking, divine, green salad, joy, morning, strength, sun, thank you. Bookmark the permalink. Follow any comments here with the RSS feed for this post. Post a comment or leave a trackback: Trackback URL.